Set at the heart of the verdant Belgian Ardennes, our brewery specialises in brewing quality special beers. Our story begins in the late 1970s when two brothers-in-law, Pierre Gobron and Chris Bauweraerts, decided to create their own beer, in their own brewery. Using the little money they had at the time (less than € 5,000), they embarked upon what fans of the brewery call a "Chouffe story". The first La Chouffe mash tub (49 litres) was produced on 27 August 1982. At first seen as a hobby, the Achouffe Brewery developed to such an extent that one after the other, Pierre and Chris decided to embrace the adventure full time. The Achouffe dwarves soon wanted to explore other lands, and their Dutch cousins were the first to offer them a warm welcome. Today, Achouffe beers are supplied to over 40 countries across the world. They have also won highly coveted international awards, year after year, in recognition of their unique flavour. In the late summer of 2006, the brewery's founders opted to entrust the fate of their beloved dwarves to the Duvel-Moortgat Brewery. The group is willing to invest in Achouffe and to develop the brewery's potential. Since then, a great deal of work has been carried out to smarten up the brewery and the surrounding area and our beers have found new destinations across the globe. A matter of pride for all the dwarves and the entire Achouffe team! Westmalle Abbey, called Onze-Lieve-Vrouw van het Heilig Hart, belongs to the Cistercian Order, which was founded in the eleventh century. This order is commonly referred to as ‘the Trappists’, after the Normandy abbey of La Trappe. Reform of the Cistercian Order spread from there in the seventeenth century. 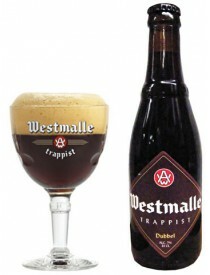 Westmalle Abbey, founded in 1794, belongs to the ‘Cistercians of Strict Observance’, but is generally known as the ‘Trappist Abbey of Westmalle’. Amonk’s life is primarily a life of prayer. But it is also a life in community and a life of work. Hanssens Artisanaal bvba is a traditional lambic blendery located in Dworp (Tourneppe), Belgium. Hanssens offers a range of lambics including Oude Geuze and Oude Kriek, a specialty Scarenbecca Kriek made from Schaerbeekse Cherries, and the only authentic strawberry lambic in Belgium, Oudbeitje. 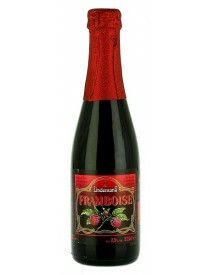 Raspberry and Cassis lambics are available in the United States, and Hanssens has also blended lambic and mead. According to Van Den Steen, Hanssens was the first brewery to use the protected name of Oude Geuze and Oude Kriek on their labeling. There is something in the air around the River Senne in Lembeek, outside Brussels. And that something is the secret behind the spontaneous fermentation that makes lambic beer unique: air-borne yeasts. Skilled master-brewers use these wild yeasts to brew and then “cut” (blend) gueuze lambic beer. Taming the yeast and creating unique brews is what the Boon Brewery does. Since many centuries the Southern part of West-Flanders has been known as an Agricultural region, with a solid reputation for its grains and also for the hops. During World War I the entire region around Ieper was completely bombarded to the ground. Life as we knew it, and all economical and agricultural activities came to an end. This black page in our history was maybe best described, by the Canadian poet Lt Colonel John McCrae (1872 –1918) in his World famous “on Flanders fields” Shortly after the great war, with a lot of hard work, people rebuild the area and after a while the hops have replanted in the Poperinge region. Very soon we were able to harvest the hops (hops is called hommel in our dialect)and the production and export started again. This interesting history is well illustrated in the Poperings hop museum: www.hopmuseum.be Every 3 years the city of Poperinge has a Hops procession, and by the end of the 70’s they decided that they were looking for a worthy ambassador to represent the hops culture. Combining al his knowledge and craftsmanship Karel Leroy introduced in 1981 poperings hommelbier, that immediately shook the Beer world. This top fermented Ale with refermentation on the bottle can’t be compared with any other type of ale and is therefore known as a Special Ale. This refreshing gold colored ale has a honeysuckle sweetness that is nicely balanced by a full solid hops bill. It also has a late, spicy, cumin-seed, dryness, that amazingly enough never gives you a dry after mouth feeling. 3 Fonteinen was founded in about 1887 as a café and geuzestekerij, a place where geuze is produced by blending old and new lambics, acquired from other breweries. The enterprise was bought by Gaston De Belder in 1953, who expanded it with a restaurant and left it to his sons Armand and Guido in 1982. In 1998, a brewery installation was bought. Apart from using its own lambic, 3 Fonteinen uses lambic made by Boon, Girardin and Lindemans for its geuze. 3 Fonteinen is one of the few remaining geuzestekerijen. The Mijol Club, a literary club, founded by Herman Teirlinck, used to convene in the café. In May 2009, a faulty thermostat caused 3000 bottles to explode. The remaining overheated geuze was made into an eau de vie called "Armand's Spirit", the sales of which enough allowed the brewery to continue operations.In March 2013, after four years of interruption, Brewery 3 Fonteinen inaugurated its new brewing installation and is brewing its own lambic again. 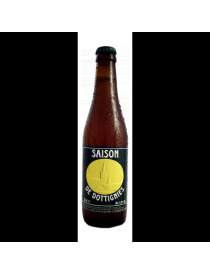 During the four year without its own installation 3 Fonteinen managed to keep its head above water by blending lambic that they bought from nearby lambic breweries like Boon and Girardin. he roots of Brasserie Dubuisson are in the distant past. Furthermore, this brewery is able to lay claim to a badge of honour that is envied by many of its rivals: it is the oldest brewery in Wallonia. Il birrificio adopera un’istallazione nuova 27 HI, costruita in Germania secondi i piani dei mastri birrai del Glazen Toren. La Brouwerij Bosteels è nelle mani della famiglia Bosteels da oltre duecento anni per un totale di sette generazioni. Il loro antenato Evarist Bosteels fondò la birreria nel 1791. Successivamente arrivò Joseph, il quale aveva tre figli: Frans – per tredici anni sindaco di Buggenhout – Martin e Lodewijk; solo i primi due impararono il mestiere del birraio. Lean Bosteels, figlio di Martin, assunse il controllo qualche tempo dopo, per cederlo nel 1938 al figlio Antoine Bosteels che continuò la dinastia dei birrai. Durante i cinquanta anni della sua guida rilanciò la birreria con Bosteels Pils, che per la prima volta riuscì a vendere anche al di fuori della zona di Dendermonde fino a Gent, Antwerp e Bruxelles. Attualmente la birreria è sotto la direzione di Ivo (sesta generazione) e suo figlio Antoine e fa parte del “Belgian Family Brewers”. 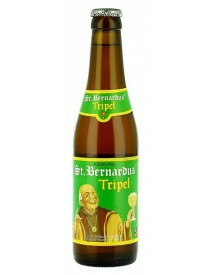 Achel è una birra belga trappista, prodotta al monastero di Notre-Dame di Sant-Benoît, a Achel (provincia di Limburgo). L'industria della birra esiste dal 1850, e ne produce attualmente due varianti: una bionda e l'altra scura.L'imbottigliamento è effettuato al birrificio Bios-Van Steenberge, a Ertvelde.Achel è una delle undici birre che sfoggiano il logo esagonale Authentic trappist product. La produzione di birra nell'abbazia è iniziata fin dai primi giorni della stessa. Un documento scritto dall'abate nel 1628 fa riferimento diretto al consumo di birra e vino da parte dei monaci. L'ultimo mastro birraio ad essere anche monaco fu Fratello Pierre, deceduto nell'incendio del 1793.Il birrificio attuale fu realizzato nel 1931 e impiegò laici; il suo scopo era quello di fornire un reddito ai monaci con il quale finanziare la ricostruzione in atto in quegli anni. Fu progettato da Henry Vaes, che progettò anche il caratteristico bicchiere di birra Orval. La prima birra fu consegnata dal birrificio il 7 maggio 1932, e fu venduta in barili anziché nelle bottiglie, come avviene oggi. La Orval fu la prima birra trappista ad essere venduta in tutto il Belgio.Il primo mastro birraio fu un tedesco, Martin Pappenheimer.Il logo del birrificio è basato sulla leggenda dell'abbazia. 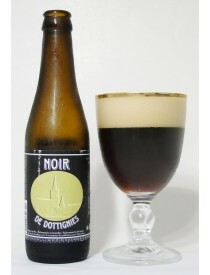 Girardin is a small, family-owned brewery in St. Ulrik's Kapelle, Belgium. The brewery was founded in 1845 and has been owned and operated by the Girardin family since 1882. The brewery specializes in lambic beers. La Brasserie (fabbrica di birra) de l'Abbaye des Rocs nasce in un piccolo villaggio ricco di vegetazione, autentico polmone verde situato in una regione un tempo popolata da industrie fiorenti. La produzione di birra cominciò nel 1979. La capacità di produzione era allora di 50 litri ogni due settimane. Nel 1987, i proprietari costruirono un nuovo stabilimento capace di contenere tini da 1.500 litri. Creazione di una società cooperativa. Nel 1991, vengono depositati i marchi di fabbrica e costruiti gli stabilimenti destinati alla fermentazione e allo stockaggio del prodotto finito. Nel 1993, la sociéta si trasforma da cooperativa in società per azioni, acquista delle nuove attrezzature per l'imbottigliamento (lavatrice, macchina per spillare, tappatrice, incapsulatrice e etichettatrice). Nel 1994 e nel 1995, la produzione è di 600 hl. Nel 1996, la produzione raggiunge i 1000 hl, un nuovo stabilimento viene costruito e una nuova sala per il brassage, che permette di produrre 50 hl per bacino, è resa operazionale. Centuries ago, young men were travelling around singing and telling stories to enjoy people and this way keeping traditions alive. They were called "Troubadours". Brouwerij The Musketeers wants to keep the production and development of specialty beers alive, which has a long tradition in Belgium, the country of the beer. Its also the intention that the Troubadour-beers explore step by step the world and - as the legendary Troubadours - bring pleasure and entertainment to people. Viven was originally founded in 1999 by Willy De Lobel and was called Chapel of Viven, the blonde, and Monastery of Viven, the brown. The recipe was developed by Willy De Lobel. In the absence of a brewing plant, Willy wandered through the Flemish hinterland in search of professionals that could brew his recipe. Brewery Verhaeghe Vichte was founded as a brewery-malterie by Paul Verhaeghe. Most of the Belgian breweries of this time organised their sales in the immediate vicinity of the brewery. In this sense we can say that the Verhaeghe brewery already showed a great commercial activity in the previous period to the great war. Through a railway line linking Vichte with Brussels, the Verhaeghe brewery was able to sell a significant part of its production on the Brussels market.At the outbreak of the first world war, Paul Verhaeghe responded to the call of the Belgian Government to resist the German occupation economically by stopping the production. The refusal of brewing during the war was responded in turn by the Germans by the dismantling of the brewery.After four years of inactivity, the brewery had lost all its customers in Brussels and was put in front of the investment of a whole new production equipment. In the post war period the brewery remained bind regionally and adapted to new trends in the market. The first brews of beer of low fermentation by the brewery date from this period. The brewery was focused also on the improvement of the quality of its existing beers.At the present time the Verhaeghe brewery feels itself confirmed in its earlier choice : a little less, but better. 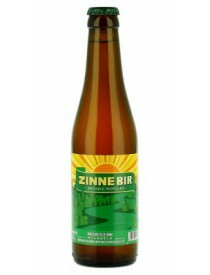 Not only in Belgium, but also far outside the Belgian borders, the consumer prefers more and more beers of high quality with a unique identity. 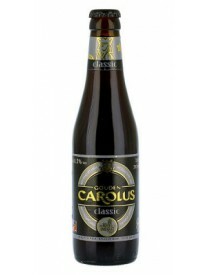 The commercial success of the "Duchess of Burgundy" beer,is the best proof : The Duchess of Burgundy is a red brown of West Flanders, matured in oak casks and is brewed according to an ancient method that is geographically linked with the southwest of the province of West Flanders. Fondato da un gruppo di amici, residenti a Turnhout, inizialmente come gruppo di degustazione, è successivamente divenuto "circolo" di homebrewing. Solo dopo pochi anni venne presa la decisione di far produrre le proprie creazioni da altri birrifici, per poterle destinare alla vendita, e cisto il successo ottenuto fu pianificata l'apertura del birrificio, che vedrà la luce solo nel 2015. Caratteristica delle birre di Het Nest è il legame con le carte da gioco, essendo la città di Turnhout un'importante centro di produzione di carte. The history of PALM Breweries goes back to 1686. At that time Theodoor Cornet, estate manager of Diepensteyn Castle, was the proprietor of an inn opposite the church in Steenhuffel. He brewed beer and distilled jenever there for his guests, also brewing a heavier “Counts’ beer” for the Lords of Diepensteyn, Counts of Maldeghem-Steenhuffel. Nel 1830, i volontari valloni marciano a Bruxelles e partecipano alla rivoluzione che ha dato origine allo Stato belga In onore di questi uomini coraggiosi, i birrai de Brasserie Scassenes hanno creato la gamma dei birra di carattere del 1830 e sono orgogliosi della loro birreria. Perfetta unione tra un IPA tradizionale inglese, un IPA americana e uno storico stile belga, la triple. 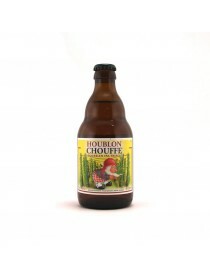 La Chouffe Houblon è molto luppolata, con un buon corpo maltato ed un'ottima secchezza.